Hello my friends and dumplings! My heart goes out to all of you who are suffering one way or another because of the blizzard and flooding on the east coast. Many people have suffered injuries from shoveling snow or car accidents, so be careful out there. On the other hand, it was fun seeing all the folks out walking right through downtown New York City and the families enjoying the thrill of sledding down the Capitol steps and around various city hills that had never seen that kind of activity before. It's an interesting aside to note that (given the same physical abilities) there are those who chose to remain housebound and miserable and those who chose to get out and enjoy the delights the situation offered. Sorry, where was I? Please have a seat. I have finally started attending my online watercolor classes! Whoop! Boy, has that ever been weighing me down. And you thought it was just the chocolates, dinnit you? The oldest class in the queue is a class taught by my exceptionally talented friend Deepti Malik of Dee's Art Utopia. The class is being offered by Craftsy and it's worth every penny. Deepti is clear and concise and covers a ton of information and techniques. And I'm only halfway through the course! I thought I would share some of my homework with you. All of these cards were made using pan watercolors, either KGT or Dollar Store. Corner Garden flower stamp by Stampin' Up, heat-embossed. Cityscape Nightline die by Memory Box. NBUS Mwah sediment by CAS-ual Fridays Stamps. I made two of these cards. They are both the same vibrancy, but the sunlight overimposed the one on the left. Actually, making two identical cards should warrant me an "F" grade. You see, in class Deepti made one die cut and made a card with it, like above. (In fact, I DJKASEd her!) Then she made a second card, but she made it using the negative from the cityscape die cut. It was really cool. Unfortunately, by the time I walked the three steps over to my BS, I'd forgotten the directions and my thoughts turned to how I could get two variegated cityscapes out of the one painting. Also cool, sure, but not what I was told to do. I'll admit Hammy was chattering away at me something fierce and even gently pulling my hair, but I was not to be detracted. Turning back to my desk and looking at the computer screen and then down at my scrap, I realized my exuberance had once again led me down the path to the principal's office. Never mind, said Harvey (Hammette #4), use it anyway, so I went ahead and made a card with what I had. Do your eyes see the nonsensical (albeit colorful) angled overlay or the dark cityscape outlines? If you see the dark cityscapes, then you'll enjoy the pretty sky. The sediments from Hero Arts are heat-embossed. 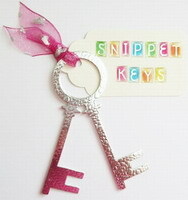 I'm entering this across the pond to play with my UK friends at Pixie's Snippets Playground. Bird in the marsh stamp is (I believe) from Stampin' Up. "Grass" is a Forest Branches e/f from Cuttlebug. Don't forget the GIVEAWAYS page at the top of my blog home page! Fabulous collection of cards, definitely an A+ from me! Your third card from the cityscape series is absolutely amazing and by far my favourite - an inspired used of the snippet, just brilliant! Keep up the good work and good luck at getting up to date with your classes - and, of course, the homework! Fabulous cards - my favourite is the colourwash on the first one - beautiuful. Love your selection of cards and the lovely colours you have used there so beautiful..
As usual a mass of inspiration, totally loving those 'Deepti' designs! Oh my you've been prolific today, what a stunning batch of cards. And yes, my favourite too is the one made from the "waste", it reminds me of one of those optical illusion puzzles where one minute you see two faces and the next a tree or a vase or something. Love the card using the negatieve! I love those city scapes, they're great. The class looks like a lot of fun, can't wait to see what you do next. Fabby cards Darnell. Glad you are enjoying the online classes. Looks like your money has been well spent with that course Darnell! These are amazing - loving the cityscape..so clever! Wow Darnell that class was well worth investing in, amazing cards. I love the pink one and the cityscapes are fab! my favourite is the first one - simply beautiuful. Good for you, Darnell. I have been a slug since the early Dec rush. Glad you started your WC classes. The results are lovely. As for the naughty sequins....please, it is far too early for my sides to hurt this badly. I think you ROCKED these!!! LOVING those watercolors!!!!!!!! 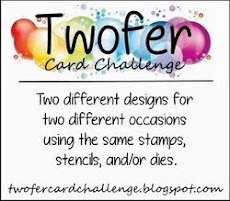 your watercoloring is fantastic - love all the cards - your snippet cityscape reminded me of a book Round Trip by Ann Jonas - it's all in the way you look at it! Oh gosh, beautiful watercoloring and entertaining stories to go along with it! Win, win! Looks like you are having a blast and creating beautiful works of heart, too. Well done! Can't wait to see what you create next. :) Hugs! I love coming to your blog. Yes love. Because I always leave with a smile on my face...feeling like we've just had a conversation together. And a double bonus I get to see your amazing cards. You're rocking the water colors Darnell. Well, Darnell - you are certainly learning some lovely watercoloring techniques - your cards are beautiful! My favourite is the first one, because I love pink colours. Your cards look great and I am glad you finally get the chance to sit down and absorb your class! I am especially fon of the city scapes one! Beautiful! I'm in awe of all three, a trip to the Principal's office or not! The "snippet" card is superbly stunning! Nice going...using a scrap is always a bonus! I thought you were going to comment on the Occ latest water color class. I am avoiding my homework. I have Deepti's waiting for me too. Your cards are fabulous Darnell, my favorite has to be the negative piece from your two cityscapes. Fabulous shapes and the color wow. Nicely done. Fabulous imagination love your watercolour cards - enjoy the rest of the class. fabulous new cards in a clear design. I love it ! Awwwwww!!!! How much beautiful are your cities??? Just wonderful!!!! Really LOVE sooooo much the watercoloured cityscape against the black background, they are a true dream! So much vibrant and sweet!! Also the one with negative looks great! And love the bithday card with the bird in the rounded aperture and the fab embossing! So many beauty from you today! I just adore peep hole cards... and this one is lovely. I was all "WC Homework? Water Closet Homework? Dare I ask?" Ah... water color. Very nice cityscapes even if you didn't follow the directions. I had a negative of those same die cuts like you did and thought it was way cool. It never got further than that so kudos to you for seeing it through to the end. Great peeky-a-boo card too. How are you doing on your giveaways? Many takers? I am loving the cards you created. My favorites are the cityscape ones though! That is a cool die! So Jelly that you are taking an online watercolour course--just jokes. However, that is high on my list of things I want to do this year! Your homework all so well done, I do love that watercolour wash on your first card and your cityscapes all fabulous! Hope the principal lets you off the hook ;) Hugs! Love all your gorgeous cards, Darnell! Seeing the way you've used the Corner Garden stamp reminds me that it's one of my NBUS items. Ooops! I might have to CASE your creation and fix that. Grin. 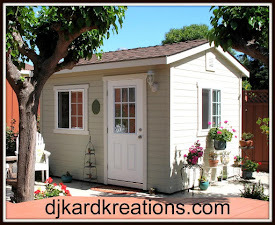 I'm impressed with your diligence...I have several OCC & Craftsy classes I've yet to begin. And I also impressed with your watercoloring. Deepti would be proud. The skyline cards are gorgeous, as is your pink garden. The bird card...well, it's just beautiful and sweet. Kudos on you. Goodness, these are all so beautiful, Darnell! I love them all! Oh you definitely get a big A Plus on all of these!!!! Fantastic cards! I'll have to check out Deepti's class since I do love her too. She's a sweetheart. Great job of your homework. Beautiful cards. Nice to know someone else forgets stuff as soon as they see it. Thank you! LOOOOVE the 'negative' city scape colour sky. Even if my eyes took some adjusting til I 'got' it....fabulous that you are DOING stuff. This must be your 'getting stuff sorted' year! Hammy will be happy!! I signed up for Deepti's watercolor class months ago and have only watched the first lesson so far. Thank you for reminding me with your awesome cards that I should get back to it, now that the holidays are over! You are a very good student, dear Darnell. :-) Amazing homework. All cards are superb, but your cityscape touched my heart. I wish you a lot of fun in your water colouring class. Wow, you've outdone yourself! Love the watercoloring. You're learning a lot already! That card you created using your skyline scrap really got me! Congratulations on continuing with you Watercolour class and the sample you have shown use are fabulous, wouldn't have thought you needed classes. All brilliant but love the pink one. Ooh! I love your negative space card the best! Beautiful watercoloured cards Dolly!! Great job with your homework. Looks like you are learning lots from the very talented and sweet Deepti!! In a word - fabulous! Love all your cards Darnell - especially the skyline ones. All your cards are fabulous. I especially like the first one that is embossed and watercolored - beautiful. The last one with the peep hole is adorable. Love the cute bird image. I like the cityscape ones too. I love that you cut from both sides and used the watercolored piece as sky. Your cards are just lovely. I have heard about that class and may have to take it since I do love watercolor. The birthday card is sweet and I like how you did the embossed grass. Looks like you had fun and got some fantastic cards out of the bargain! I never thought to use the corner garden stamp that way! I think we have a BKKASE on the horizon! Awesome cards, Darnell!! I love your watercolor wash with the flowers in the corner...so pretty! But your city is sure striking too! Looks like you are learning lots and having fun with it too! Looks to me like you're a star student Darnell, these are all so PRETTY!! Wow--you've been busy! 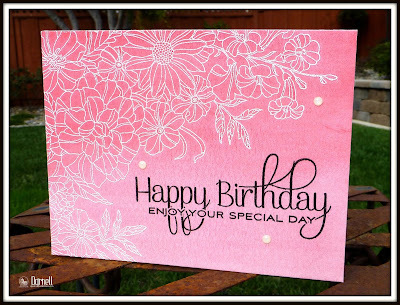 I love your cards, Darnell--especially that first gorgeous pink one! 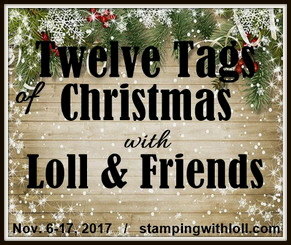 Would you believe--I have those little wooden stamps in your giveaway! These are all such great cards. I took a water coloring class once. I think I've forgotten everything I learned. Need to sign up for another one. Keep the homework comin'. Love seeing what you learn. What a gorgeous collection of cards Darnell .... love the watercolour wash on the first one .... beautiful! The next ones are just brilliant ..... love how you used the negative from the die cuts. I saw the buildings first and the beautiful coloured sky. The little peek a boo card is so cute too. Oh boy, you're onto something very special with the way you colored these cards! I just L.O.V.E. the timeless delight card with the beautiful nighttime sky colors! Everything's so pretty, and I love your signature "MWAH" on the first 2 cards too! Terrific cards!!! Whoo Hoo for you and watercolour! It was pointed out to me that you and I both used the left over piece from our skyline cuts this week... Yep, great minds think alike! Have a lovely day! Beautiful cards Darnell! I may just need to take some water coloring classes. What a gorgeous array of colourful cards Darnell. Quite the feast for the eyes. Looks like you're enjoying your class. I'm serving up more hooch in the Playground Tree House this evening if you want to pop by! Stunning cards Dippy - all of them, but so clever using the positive and negative die cuts. Can you let me know which set of CAS-ual Fridays stamps the MWAH comes from please????? Your homework looks amazing Darnell! Looks like you are a very good stunt! I am thinking about taking it. Looks like I could learn a lot! Thanks for sharing your beautiful work! Great set of cards Darnell! What a great collection of cards Darnell and I bet you have gone to the top of the class even if your homework is a bit late! Love those skylines. Fabulous selection of cards Darnell _ especially the pink one - that is gorgeous! WOW, Darnell! Your three cards are amazing, I can see that you are having a lot of fun in that class. Your wash on the first card is perfection, I don't see any raw edges between the various grades of color. Your last card is so very sweet, but the prize goes to the middle... 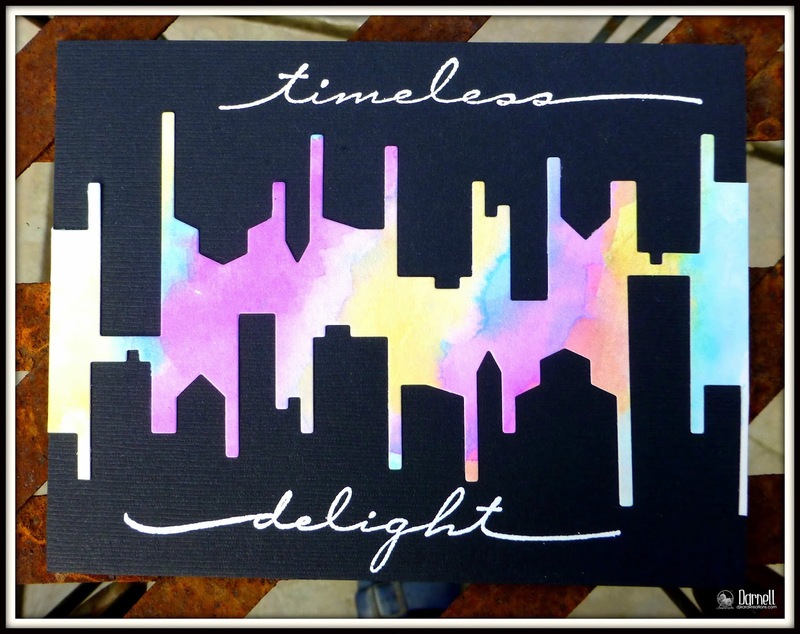 I have that die and love it, but I don't even care to look for skylines, you just made such a stunning abstract card! LOVE it to pieces! I'm also having watercolor classes with OCC. Dawn Woleslagle is a pretty amazing teacher too. Congratulations for your win at Fusion Challenge, and thank you for your comment! WOW! I'd say you are getting an honours grade in this watercolouring course! Gorgeous cards. Wowsers, Darnell. What a huge anount of creativity and crafting genius. My very favorite is the pink one with the SU flowers. I've never thought to use that set this way, and I am going to case you as I just love it so much. Seriously? Dollar Store watercolors? Awesome! Adore the beautiful pinks (and the amazing sentiment). Of course, the two MWAH cards made my heart smile - great 'scapes! Thirs card - noticed the GORGEOUS water colored images before the cityscapes! Would be interesting to know the numbers for who saw what first! 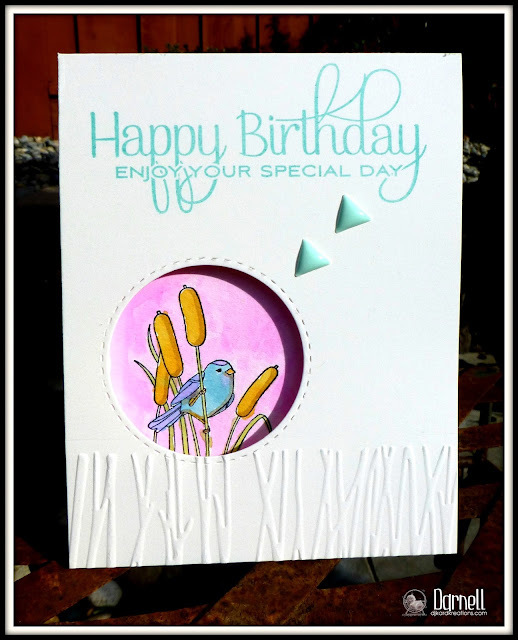 Really love the bird in bull rushes card - change up the colors and "Ta Da" ... a perfect guy card! Really beautiful cards, Darnell. I love the peephole one with the lovely bird. No birds have shown up to my suet feeder hanging outside the window of my new craft room. Bummed about that. :( So your fresh and pretty bird is a treat to my eyes. 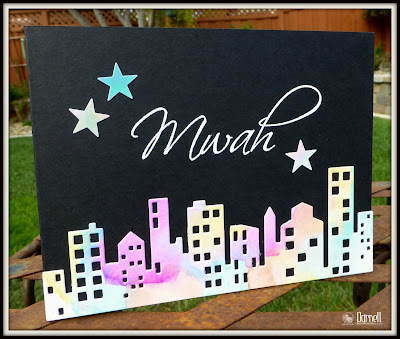 Wow....your cityscape cards are fabulous. Though I am a country girl through and through, there is something I really love abt the look of cityscapes. Can't figure that one out, but I don't fight it. Thanks for sharing your cards!!! Yay to you for taking a watercolor class, Darnell. I love your city scapes and the reverse scape - an optical illusion for sure. The bird card is just darling and so well colored. Admiring your initiative in taking a watercolour class, which I *should* take but simply can't bear to experience yet more frustration. Some day! As for your creations here, especially the 'optical illusion' - you earn A++++ for ingenuity and execution. Truly fantastic! *Peep* hole bird: so pretty - and that coming from someone with bird-terror! WOW, that is money well spent for the course, Darnell!!! Your cards are fabulous!!! I really like the 'scrap' of the city scape, one! !